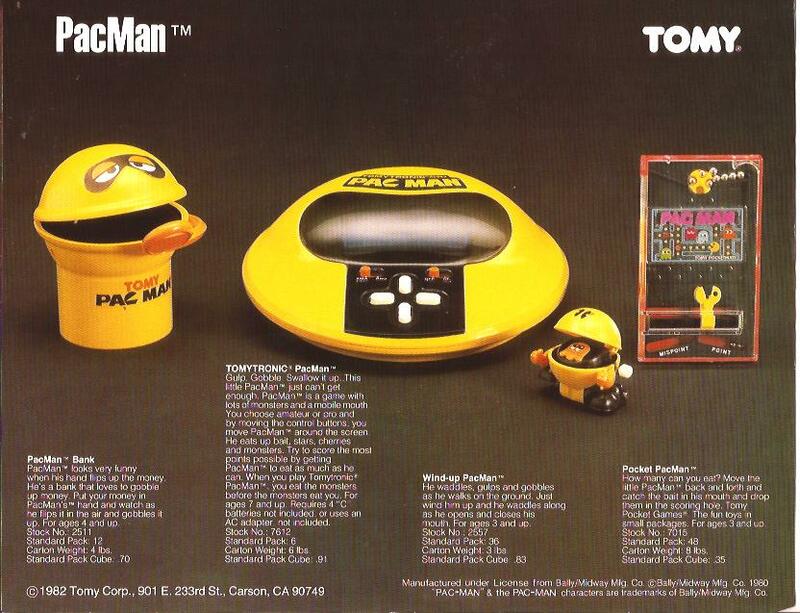 I just powered up my Tomy Pac Man game this weekend, my 13 year old daughter didn’t care for it. 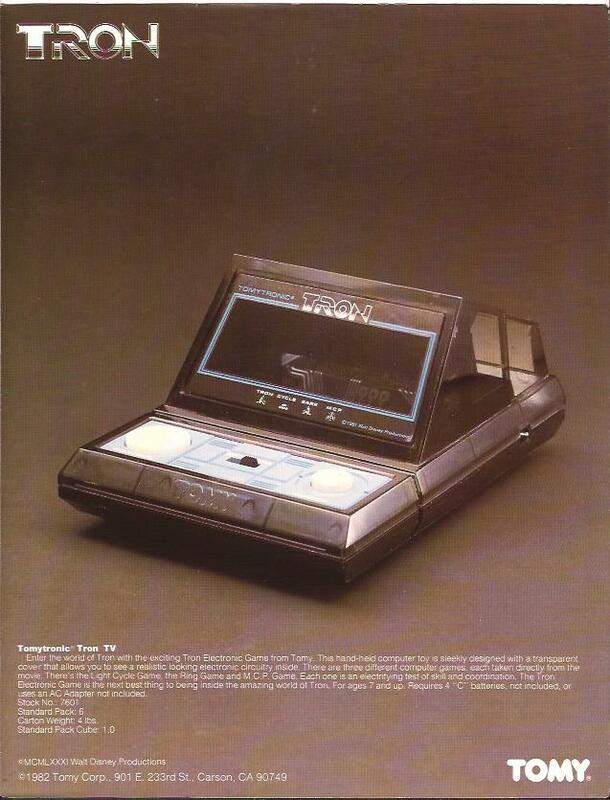 She did like my Coleco Frogger and my Galaxian 2 better. I had Galaxian 2 and would love to play it again. I also had Digital Derby and Hit and Missile. 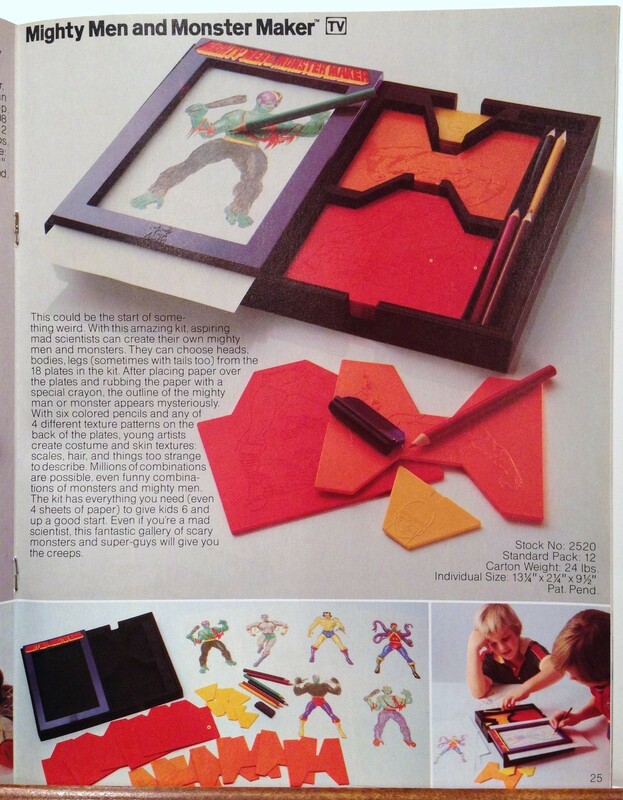 I soooo want a Mighty Men & Monster Maker. 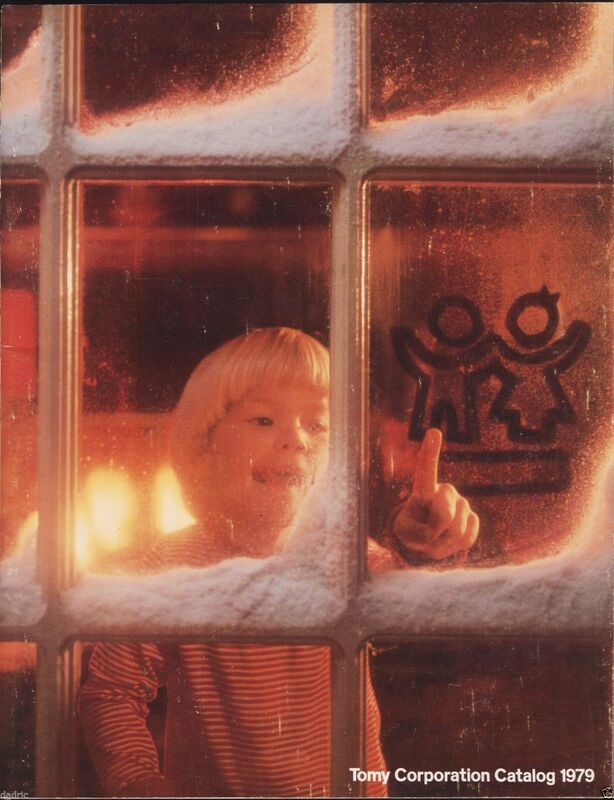 I lost mine when I was a kid–it was in my suitcase by our hatchback as my Dad was packing for a vacation, and when he walked away to grab something from the house, somebody stole my suitcase. Lost a detective kit and a bunch of Harby Boys books, too, but I mourned the MM&MM the most. 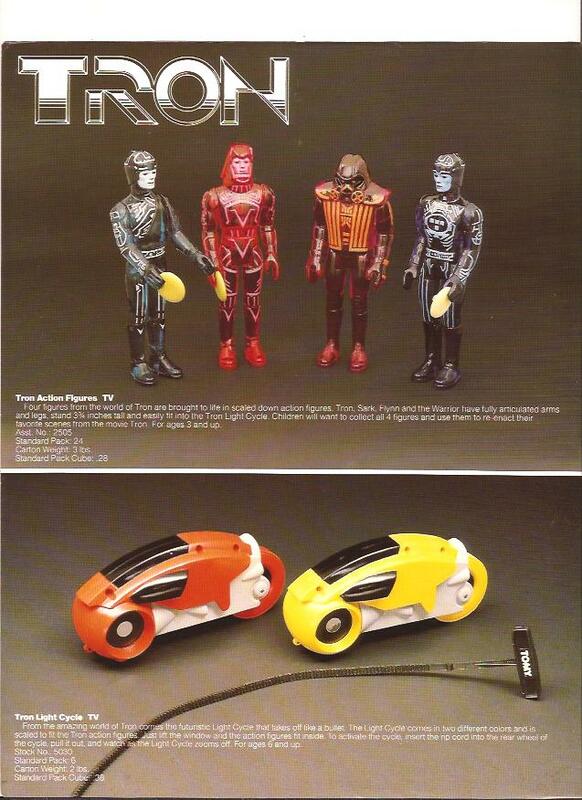 They pop up on ebay for unbeliveable prices–more than I am willing to shell out. I wish Tomy would re-issue that sucker. I recently came off of about $50 for one on eBay. I had to clean the sucker (crayon on the plates, something I remember doing as well) but my kids love it as much as I did. 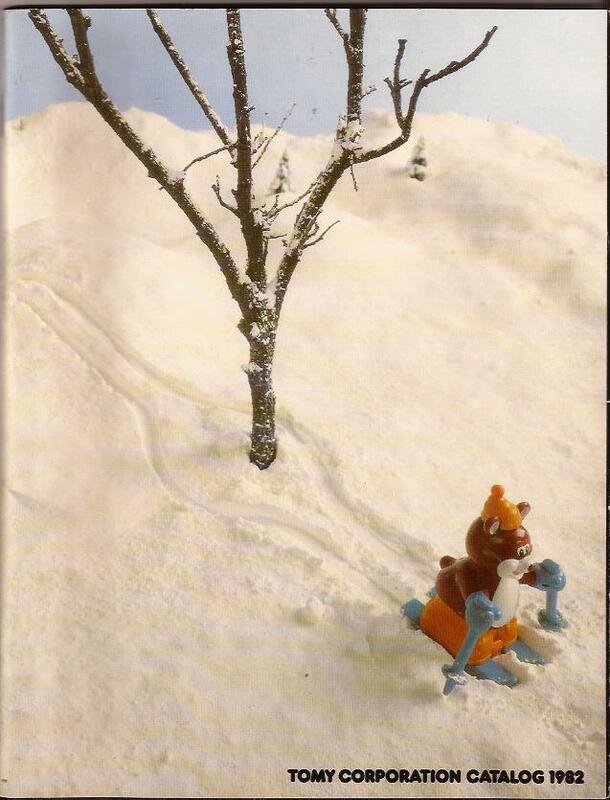 They also went through so much paper that I’m beginning to wonder what the real culprit for deforestation in the 80’s was. Totally worth the money if you can get it with all the plates. I had one of those Mighty Men and Monster Makers. 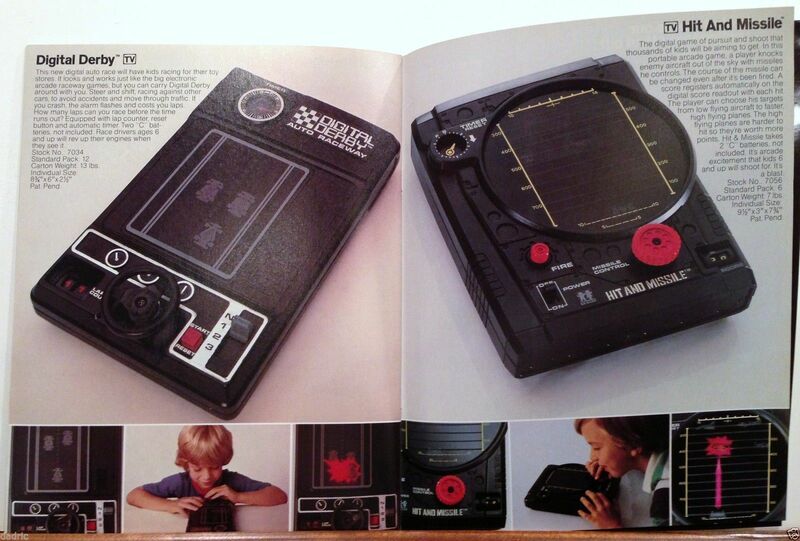 I loved that thing so much… I probably used it when I was much too old for it. 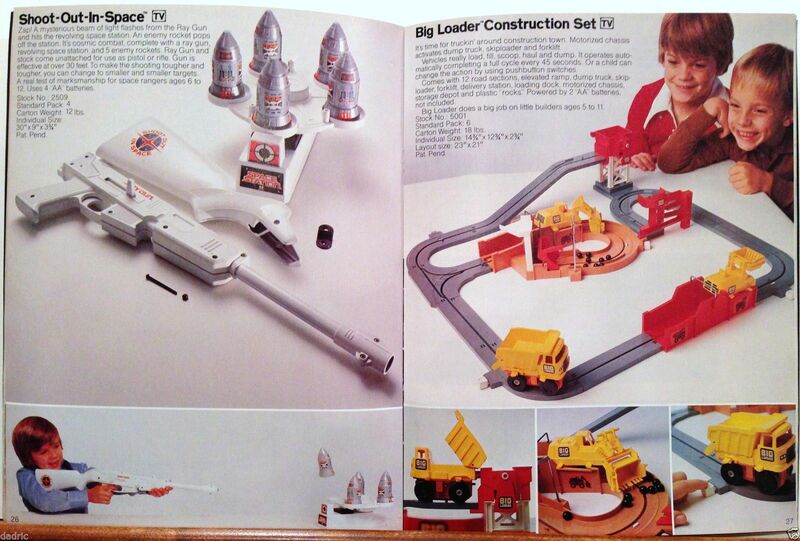 I had the Robot, Big Loader, and Mighty men. Giddy up! I never had the Mighty Men and Monster Maker. Wanted it. What amazes me is the sheer amount of stuff on offer that I had to choose between, so much so that I’m still chasing it, mentally if not physically. I had (actually, still have) Digital Derby. I loved that game. I spent hours trying to roll the counter. 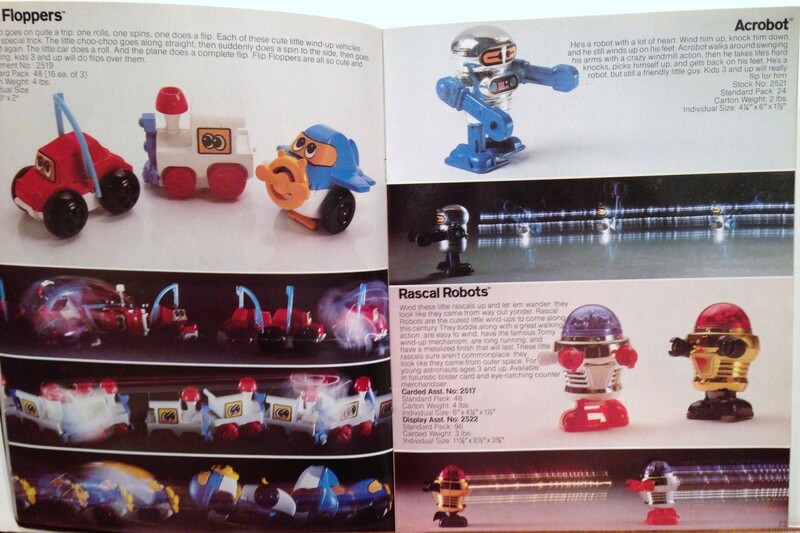 I remember picking up those Rascal Robots at K-Mart. I still have them, but their hands and a foot peg or two are broken off giving them a hobble when they walk now. I used to pit them against one another to see who would knock the other down. Is that Tomy PacMan bank a recast of Mr. Mouth? It is Mr. Mouth! Those cheap bastards.